MIIEGO UNITED KINGDOM | MIIEGO® AL3+ Woman - "BEST BUY" PRODUCT in SCANDINAVIA! MIIEGO® AL3+ Woman – “BEST BUY” PRODUCT in SCANDINAVIA! The Scandinavian magazine iForm, which is being published and sold in Denmark, Norway, Sweden and Finland, has made a big test of sport headphones in their edition 2/2017. 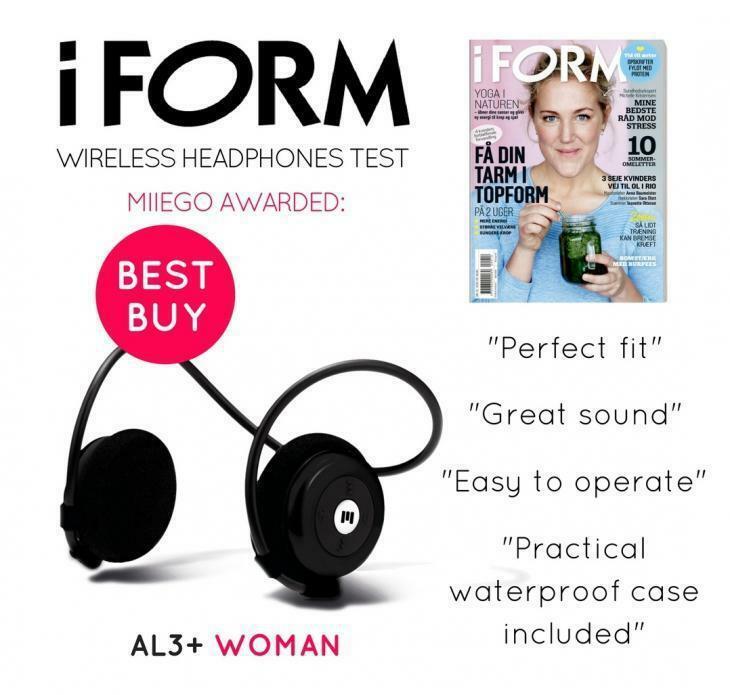 The MIIEGO® AL3+ WOMAN was honoured with the iForm BEST BUY award and preferred over a number of other headphones. The MIIEGO team is very proud to receive another award for our AL3+ SERIES, and also proud to have been selected to be part of the iFORM Training Favourite Products 2017.